I never knew I would have so much trouble getting along with you. You’ve stolen my body– reshaped it with post-pregnancy pounds that tend to crowd around my middle like a delicious muffin squishing up over the “skinny” jeans I’m wearing because I’m desperately trying to be a cool-looking mom. And you’ve got more hormones trafficking through me than New York has taxis. I don’t even know this body you’ve given me. Your highs are really high– seeing the jelly-bean baby on the black and white screen pulsating with life, holding a squishy newborn for the first time, seeing my baby toddle across the room to my open arms for the first time, hearing that “MAMA!” squealed with pure delight. Watching my child read a book for the first time, seeing my kids show love and kindness to each other. Wonderful. Amazing. But then your lows are so darn low. Forgetting the party and feeling like I let my child down. Losing the special blanket because I didn’t realize it wasn’t tucked safely enough into the overflowing diaper bag. Feeling overwhelmed by the tantrums and wanting to run away. And goodness gracious, the bodily fluids. The vomit, the pee, the blood, the poop. Ew. So much of you, though, is spent somewhere in-between. Quite ordinary you are most of the time. Not pin-worthy. Buying toothpaste and toilet paper because a house can’t run without either and somehow the bulk of you– the toothpaste and toilet paper part– is lost between the mountains and the valleys. And I am left feeling guilty that I’m loading my carts (with the busted wheels, WHY do I ALWAYS get a crappy cart????) with the necessities and navigating preschool friendship drama and wiping bottoms because I feel like you should be more than this plain, un-fancy normal thing of creating-lives and raising-humans and being-a-mommy. I feel like I’ve bought this lie that I should be sporting an apron and heels and baking (gluten-free, organic, naturally-sweetened, paleo) scrumptious cookies for my children in a spotless kitchen and just delighting in my happy, quiet, obedient children. I should be smartly engaging on social media and blogging about all my wonderful home organization systems. See the lies? It even sounds ridiculous when I read it back, but somewhere along the way, I’ve decided my version of motherhood isn’t enough– that you’ve stolen something valuable from me and given me something crappy instead. And although I concede that you have stolen my post-baby body, I admit that the rest of the problems lie with me. So, I take your epic tantrums in public and your sweet preschoolers snuggled into the crook of my arm. I take your stomach bugs that cycle through everyone and your homemade cards and specially selected presents for special days. But most of all I take your grocery lists, and clean laundry piles, and your crayons on the floor and your math worksheets. I take all the ordinary moments in with the goods and the bads and I promise to make the best of them. I realize that you aren’t inherently awesome or terrible. You just are, and my experience with you will ultimately be up to me– can I buy the toothpaste, clean the toilets, serve the snacks, unpack the backpack, teach evens and odds, mop the floor, push the swings with joy? Because if I can do that, then we’ll be OK you and me. Soul Coffee for Moms… and a Giveaway! Last fall, I joined in with the 30 days of blogging challenge that Emily Freeman hosts at Chatting at the Sky. I spent the month writing devotional snippets for moms and calling them Soul Coffee. I was so encouraged by some of the feedback from those posts and decided to edit the material, add some more to round out the content, and publish it all into a book. I wrote a book. A BOOK Y’ALL. With a title page and an ISBN number and an adorable cover painted by my expat mommy friend, Priscila. A lifelong dream was realized when I saw my book listed on Amazon last night! Really it’s not a long or a fancy book. It’s simply some devotional meditations to get busy, tired mommies into the pages of Scripture. Coffee to wake up their souls to the treasure of the Gospel and the Savior waiting to spend time with them each day. I pray it will remind moms of the love their God has for them, and encourage them to read the Bible each day– even if they only have a few minutes to sit down at the jelly-sticky table while the toddlers watch a cartoon, and read a verse while drinking a cup of coffee that’s been re-heated twice between serving cereal and changing diapers. Yes, moms I know your life. 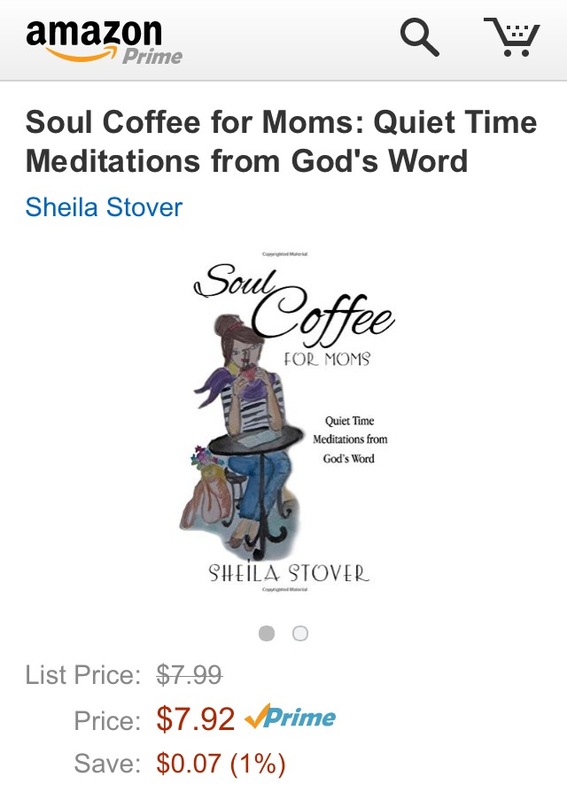 You can buy Soul Coffee for Moms on Amazon (paperback or e-book), or at CreateSpace. Yippy skippy! Because I’m super stoked, I’d like to give two copies of my book away! I’m gonna pack them up with some of my favorite goodies (think earrings and scarves!) and send them to two friends! Enter using the Rafflecopter below. Giveaway ends September 4, good luck! Way back in 2008, when I only had one kid and I was new to the whole staying home full-time gig, I started this Mommy blog. 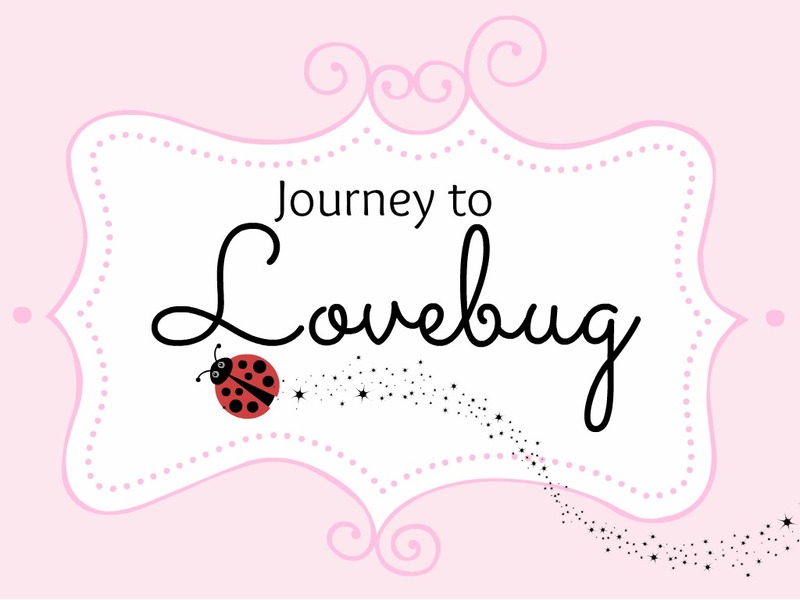 I enjoyed writing and sharing my mis-adventures in motherhood and it kinda worked out for me– I started having free products sent to me for review and I was quickly becoming a part of an online community of women. Fast forward through a couple more pregnancies/kids, a transatlantic move and all that it entails, an adoption process and I am lucky to post a pic of my three kids on the third of each month. Forget reviews and giveaways and even posting actual words most of the time. I’ve realized that this chapter of life (the chapter with spilled grape juice and dirty finger prints on most pages) is a chapter of not doing it all. I don’t have super clean house. I don’t knit. Or sew. Or run an Etsy shop. 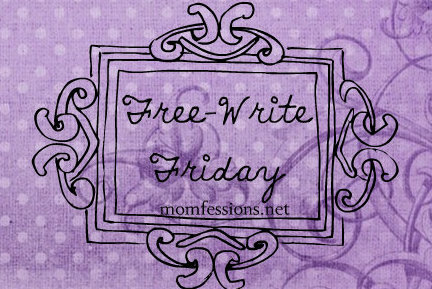 Or write stellar blog posts each week. I can’t throw pottery on a wheel , or draw, and the thought of organizing my house makes me want to take a nap. I don’t run fast (and don’t even enjoy it). I can’t make a cup of coffee if it’s not instant. Because I’m still figuring out what living on two continents looks like, and how to keep in touch with loved ones. And I try to feed my family a well-balanced diet. And I like to read. I am working through a home school schedule that fits us, and I’m learning a second language. And sometimes I do this sitting beside a monstrous pile of laundry waiting to be folded and laid to rest neatly in drawers. My point is that motherhood– much like a dress on a hanger in a store, fits us each differently because we are different. Some bloggers seem to be able to juggle a full writing agenda as well as run their households efficiently. Others find time to build a handmade business. Kudos. Motherhood looks good on you. Some mommies were blessed with multiple babies at once and they spend hour after hour nursing baby after baby. They are lucky to get a shower once a week. Mommy looks good on you. Some moms need to work outside the home, and they come home to a few precious hours with their kids filled with homework and reading and baths and dinner and bed. And then they fall into bed themselves. Motherhood looks good on you. Some women gather babies who don’t look like them into their arms. Their hearts ache over the pain their children have already suffered. They might ache over their own losses. Mommyhood looks good on you, too. There are moms who give their entire day, week after week, to home schooling. Patiently working with each child and waiting for the light bulb to click on in Reading, in Math, in Social Studies, in Science. Motherhood looks good on you. There are moms who cook delicious, healthy meals for little people who would be happier with a bowl of Easy Mac. And they never thank the chef. Mommy looks good on you. Some moms create with their children– building beautiful messes as they paint and draw and color and make. Mom looks good on you. Mommy looks good on you. My heart is too full for words today. My baby girl is five. Most people would probably think I’m overthinking it, over-feeling it. Maybe I am. But I’m an over-thinker. An over-feeler. No matter how hard I try, how long I take, I struggle to describe the last five years adequately enough. I have literally poured blood, sweat and tears into my first-born daughter. I have questioned my own decisions, wondered at my own instincts, researched and prayed and tip-toed through each obstacle. Each life stage so far. I’ve breastfed, co-slept when I was too tired to take her back to her crib, learned to love wearing my baby, made baby food, weaned, adjusted to having two under two, potty-trained, thrown the pacifier away, pushed the swing, hunted through the whole house for the well-loved blankie, waved to her as she went to preschool, held hands to cross the street, facilitated art projects, served more snacks and meals than I could calculate, cleaned messes, ignored more messes, helped memorize Bible verses, accepted homemade cards, disciplined, corrected, wiped tears, snuggled at bedtime, read and re-read favorite books, band-aided boo boos, picked out big girl bedding, talked about life things, bought gifts, videoed recitals, listened to friend problems, cried, danced, laughed, sang, grown. I am a different woman than the young girl who held the sleepy baby with a smattering of reddish hair five years ago this very day. The one who second guessed every little detail about having a baby and raising a daughter. The one who couldn’t have predicted what five years later would look like (she could barely predict five hours later!) The one who kept shaking her head wondering if she would wake up from the dream of motherhood. But happy fifth anniversary to the girl I was, the woman I am becoming, the woman I hope to be. Happy fifth birthday to the mom in me. My payment as a mother doesn’t come in a check. There’s nothing to deposit in the bank at the end of the week. These are the moments that compensate me for long hours, constant demands, and no sick days. A freshly-bathed baby wanting to snuggle up before bed, a sick darling who only wants mama’s care to make her feel better, a precious masterpiece of squiggles and swirls drawn especially for me. These are things you can’t hang a price tag on. The days are so long sometimes, the tasks so mundane. The thanks so little. But when I stop to appreciate the small joys of motherhood set before me every day, I am so thankful that God made me a mom. Truly, there is no higher calling in life.